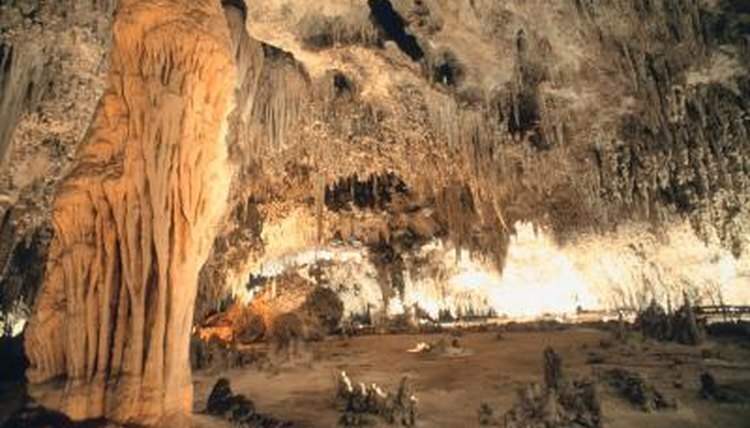 Animals that live primarily in caves are known as troglobites. While there are no known true troglobite lizards, the misconception can occur due to the colloquial names of several species of troglobite salamanders: cave lizards and ghost lizards. Most troglobites such as cave salamanders have evolved with an absence of underused senses, such as eyesight, which would be useless in a subterranean setting. The first true scientific study of a troglobite was that of a cave salamander. This particular cave salamander was Proteus anguinus, initially identified as "dragon's larva" in 1689. About 80 years later, in 1768, Proteus anguinus was scientifically identified and studied by Joseph Nicolaus Lorenz, an Austrian naturalist. In 1822, the many different species of cave salamanders were brought to light when a professor of botany discovered and identified Eurycea lucifuga, the spotted-tail salamander. Proteus anguinus, also known as an olm, was the first cave salamander to be discovered. A blind amphibian, the olm lives in the waters that flow underground southeastern Europe. The olm has many nicknames: dragon's larva, white salamander and human fish. Weighing only half an ounce, Proteus anguinus is perhaps most remarkable for its lifespan: the predicted maximum olm lifespan is over 100 years. No one factor can determine why Proteus anguinus lives so long; the olm metabolism is normal for salamanders. Eurycea lucifuga, also known as a cave puppet and spotted-tail salamander, is a lungless amphibian with reddish-orange coloring and black spots. The spotted-tail salamander is large for its species; it can range up to nearly eight inches in length, although this is mostly tail, which accounts for more than half its size. Eurycea lucifuga was discovered in 1822 and can be found in moist, humid limestone caves throughout the southeastern United States. The spotted-tail salamander is a predator, feeding on snails, flies and fly larvae. One of the rarest cave salamanders is the endangered Eurycea rathbuni, known also as the ghost lizard and Texas blind salamander. This troglobite resides only in the San Marcos pool of the Edwards Plateau in San Marcos, Texas. Eurycea rathbuni's bright red external gills absorb oxygen from the water, and it's assumed to feed primarily on snails and freshwater shrimp. Although Eurycea rathbuni is neither a reptile nor a lizard, the nickname "ghost lizard" refers to its lizard-like body type and pale, white skin color.